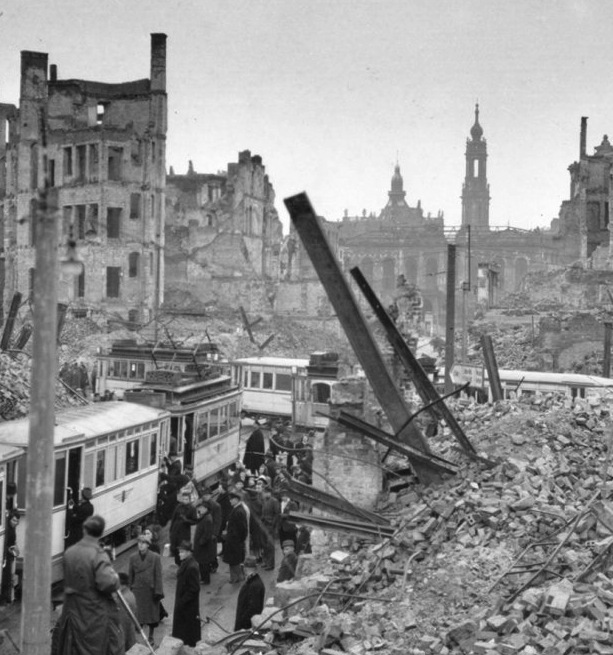 In that period between 13th and 15th February in 1945 the British and the US air forces dropped tons of high-explosive bombs on the city of Dresden. The bombing and the resulting fires destroyed also the Dresden Library, which was preserved with most of its collection by the American and British troops after the war. Remo Giazotto was an Italian musicologist and composer, mostly known through his systematic catalogue of the works of the 18th century composer Tomaso Albinoni. His research brought him also to Dresden after the war. Giazotto said that he discovered in the Dresden Library a manuscript fragment by Albinoni probably composed in 1807. Giazotto reconstructed a complete work based on this fragmentary theme. He copyrighted and published it in 1958, under the title “Adagio in G Minor for Strings and Organ, on Two Thematic Ideas and on a Figured Bass by Tomaso Albinoni”. Today the piece is generally known as Albinoni’s Adagio. Giazotto never produced the manuscript fragment, and no official record of its presence has been found. You want to introduce your new product to the world. You have its patent. The patent document refers to one of the deceased famous scientists as co-owner. In your market it is accepted that this person is known best by you. Who wouldn’t believe it? If your aim in business is not being famous but to make money, to market your product under a renowned name without even mentioning your brand is not a new method. It works quite well especially if the product is also a good one. It might be even a golden egg if you are new in the market.